Home improvement is usually a costly venture, isn’t it? It often takes a long time too. When you think about the ways that you could change your home, you may start imagining building work being done on your kitchen and having no water for a few weeks while your bathroom is upgraded. 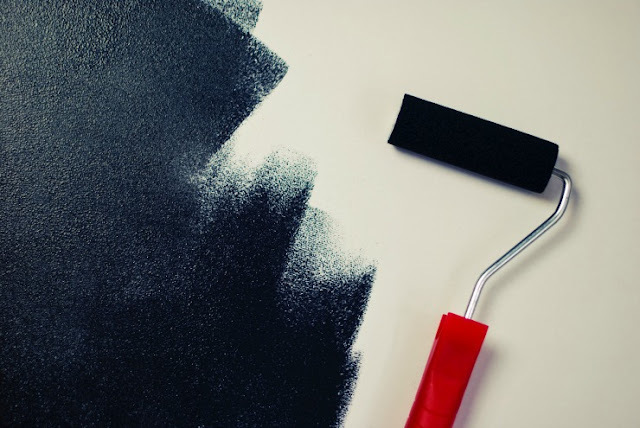 Thankfully, those aren’t always necessary when it’s the little changes that you want to make to your home that can have the big impact that you’re looking for. The most important thing about your home is that you are comfortable. While it’s nice to add to the value for when you choose to eventually sell it, it’s nicer to think that you are doing everything possible to make sure that your home is somewhere that you actually want to come home to at the end of the day. So, with all that in mind, how can you upgrade your home without breaking the bank and living in a building site? Usually the place in the home that people come to relax in at the end of a long day, a living room should be functional, social and comfortable. Think about switching out the shabby chic sofa with the hardback for a huge L-shaped suite instead. It’s social to sit in with your friends, it’s comfortable when you want to kick back and watch a movie and it’s a talking point in the room. A lick of paint can change the entire look of a kitchen, even if you have a small one to cook in. Wallpapering is far more complex than choosing a light colour to maximise the space and make it look bigger than it truly is. Pick a colour that opens out the room and avoid dark colours that can make the room look small and close the space up. If you’re going for comfort upgrades, visit www.mattress-guides.net/ and think about the type of mattress that you have currently. Upgrade your bed and your mattress to one that is newer and so has a long life on it. The bed you choose should fit the shape and theme of the room, but you should invest in one that will last you a while, too! A small upgrade such as changing the taps and the light switches may seem like a small one, but it is one of the best things that you can do for your bathroom, and it doesn't have to cost a fortune too. You can instantly change the way the bathroom looks with a switch of your cabinet knobs for metal handles; functional and modern! While we’re talking about your comfort, think about how your house exterior makes you feel. If you can’t look at it without cringing, then perhaps you need to think about giving your home an external makeover with some plant pots or artificial grass and a border of pretty flowers. Invest in decking or outdoor furniture to make your exterior comfortable for you and any guests that you have. Five changes, five small switches to make a huge impact on your comfort in your own home. What are you waiting for? I love fixing up our home, we are always planning updates to the rooms. I love reading things like these because as a tenant, they are simple and cost effective enough ideas that they can help me turn my house into a home.